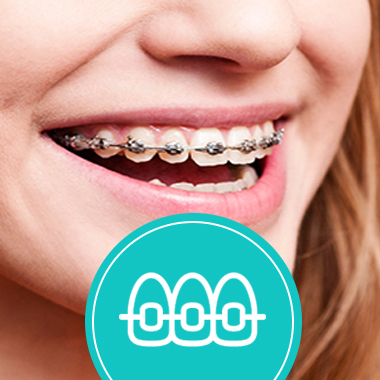 Introducing Digital Smile Design. Painless Treatment, Canal Treatment Painless Single Sitting. Develop Healthy Oral Habits. Guiding Children To Develop Healthy Oral Hygiene Habits. Everyone should smile. 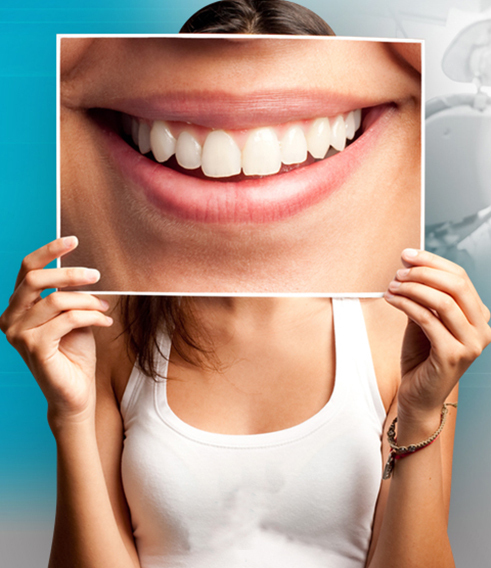 A Truly Modern Philosophy For A Real Time Smile Makeover. 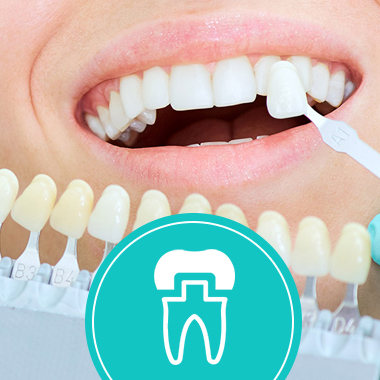 At Tooth Care Dental Clinic, we believe in providing the best dentistry in a comfortable atmosphere. It has been reviewed as the best dental clinic and implant centre of tricity Chandigarh, Panchkula, Mohali as well as in Zirakpur. 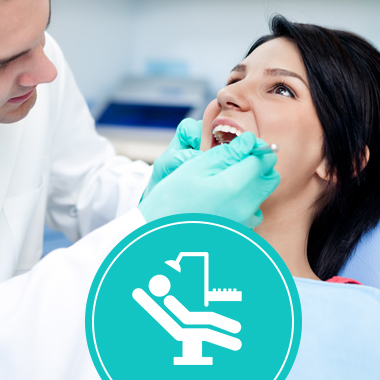 We utilize the most advanced methods and technology available, including a unique intra-oral camera that allows us to assess your dental health at a much more precise level. We also use digital X-rays, which decrease the amount of radiation for our patients. 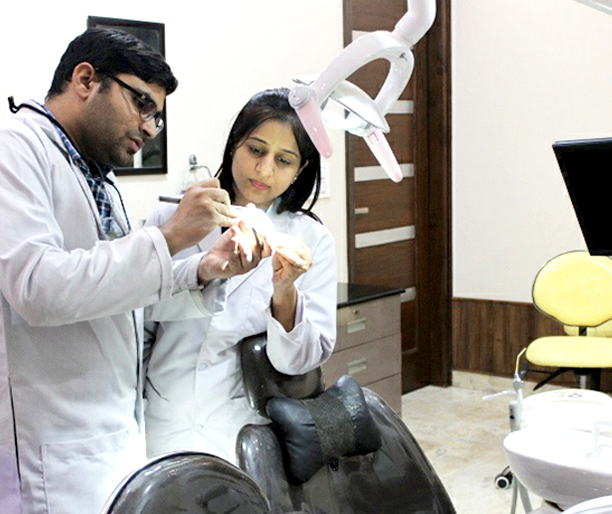 Our team includes Orthodontist, Implantologist, Prosthodontist, Endodontist, Kid’s Dentist, Oral and Maxillofacial Surgeon, Periodontist and best dentist in Panchkula who follow strict standards to deliver exceptional service. Tooth Care dental clinic is a complete package of all kinds of dental procedures like Dental Implants, Smile Makeover, Braces, Cosmetic Dentistry, All-on-Four, Kid’s Dentistry, Painless Root Canal Treatment are only performed by a specialist dentist at our best dental clinic in Panchkula. 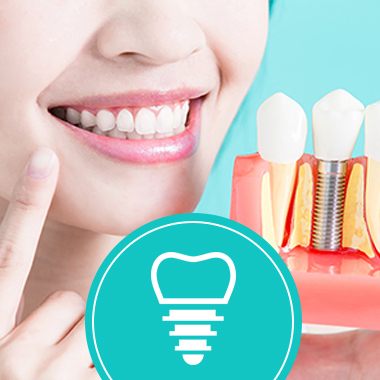 We provide several advanced dental treatments like Metal free crown, Invisible braces, Root canal treatment for single sitting, immediate implants, and Instant teeth whitening. Also painless wisdom tooth removal done by oral surgeon. Our best dentist in Panchkula committed to the finest dental smiles. 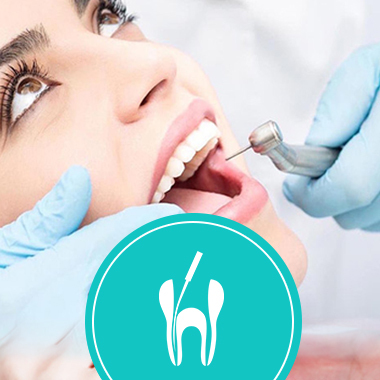 Our team of expert dental surgeons, along with performing complex dental surgeries, like wisdom tooth removal andapicectomy advises you on good dental care, thereby helping prevent tooth and gum issues. Now families looking for a Dental Clinic in Panchkula and Zirakpur close to their home can come to Tooth Care Dental clinic. 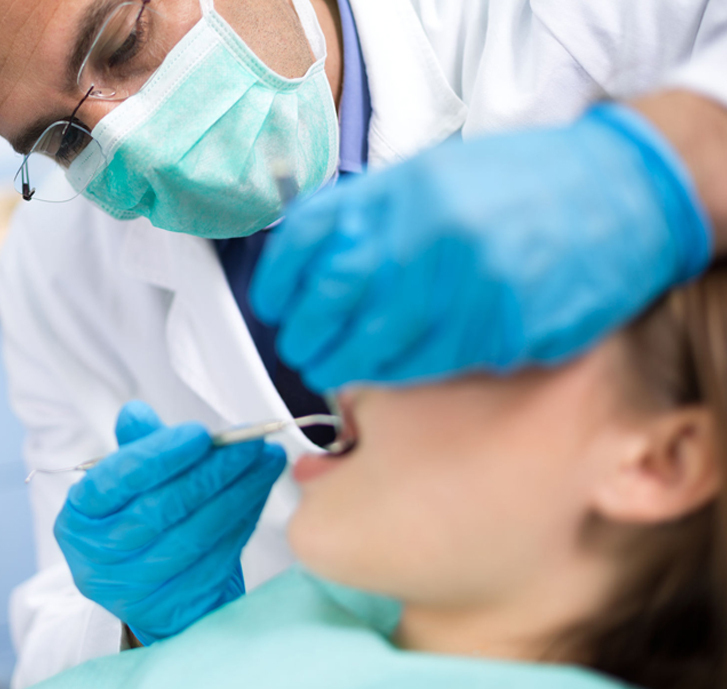 Tooth Care Dental Clinic is the best dental clinic in Panchkula which is a landmark oral health care center that has come to be known for its unique blend of advanced expertise, state-of-the-art technology and the wisdom. From dental implants to Braces, Our team is trained in the most non invasive technology to provide quality dental care in a comfortable way. 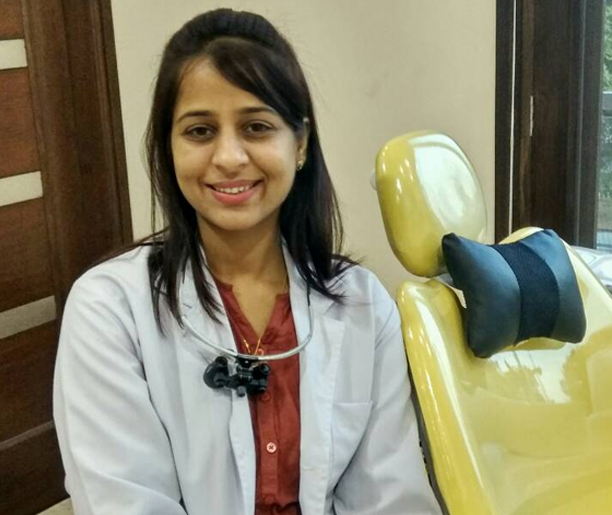 DR Sudha Gupta’s knowledge of Dental Implants and her Principles for patient care has helped them to establish the best dental implant clinic in tricity Chandigarh, Panchkula, Mohali and zirakpur. 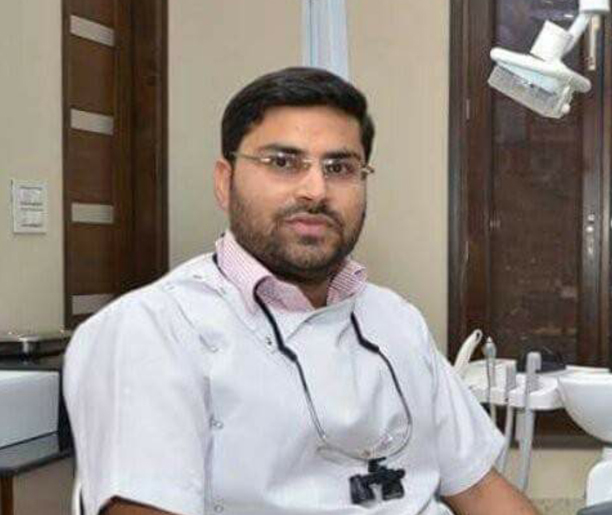 Dr Akhil Gupta has earned reputation by providing the latest treatment techniques particularly in RCT ( Root Canal treatment) and esthetics.His areas of expertise are cosmetic dentistry and rehabilitation. The beautiful smiles created at our practice are principally the work of Dr.Akhil .His commitment to the utmost in quality and attention to details has made him a highly regarded cosmetic dentist. 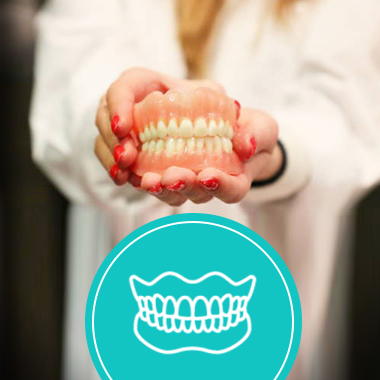 Dr Sudha Gupta is a Prosthodontist- a specialist in reconstructive, aesthetic and implant dentistry. As a Prosthodontist, Dr Sudha is sensitively attuned to the aesthetic and functional concerns of her patients. Phone: +91 9464895055, +91 9986606650. I was searching for dentist and discovered Tooth care dental clinic online. The Dentist is very nice and professional. I felt at ease when I walked in, his staff was very generous and his place of work is immaculate and clean. I will definitly be returning with friends and family. Came in to get my teeth cleaned and cavity filled and I was given the best service. They have TV’s so you can watch a movie as you get your teeth worked on which is a nice convenience. The staff is excellent and super friendly. Dr. Akhil is a chill dude and is a true professional at his profession. Come check out this place. Came in to get my teeth cleaned and cavity filled and I was given the best service. They have TV’s so you can watch a movie as you get your teeth worked on which is a nice convenience. The staff is excellent and super friendly. Dr.Akhil is a chill dude and is a true professional at his profession. Come check out this place.